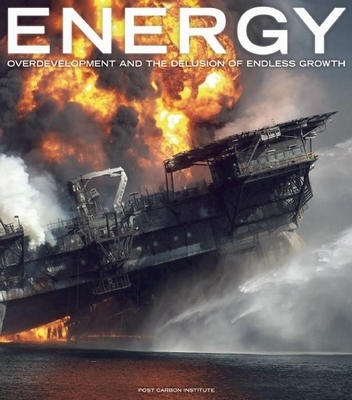 ENERGY: Overdevelopment and the Delusion of Endless Growth takes an unflinching look at the environmental devastation created by our thirst for energy--including supposedly "clean" renewable sources. From oil spills, nuclear accidents, and mountaintop-removal coal mining to oversized wind farms and desert-destroying solar power plants, virtually every region of the globe is now experiencing the consequences of out-of-control energy development. Essentially no place is sacred, no landscape safe from the relentless search for energy resources to continue powering a culture based on perpetual growth. Precious wildlands, fragile ecosystems, even our own communities and children's health are at risk. In a large-format, photo-driven narrative (including 195 color photos), ENERGY features the writings of more than thirty leading thinkers on energy, society, and ecology. Collectively, they lift the veil on the harsh realities of our pursuit of energy at any price, revealing the true costs, benefits, and limitations of all our energy options. Ultimately, the book offers not only a deep critique of the current system that is toxic to nature and people but a hopeful vision for a future energy economy--in which resilience, health, beauty, biodiversity, and durability, not incessant growth, are the organizing principles.